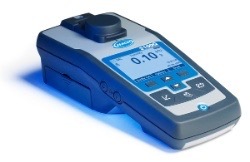 Hach 2100Q / 2100Q IS Portable Turbidimeter offers unsurpassed ease of use and accuracy in turbidity measurement. With easy-to-follow on-screen instructions, manuals or memorisation are not needed for routine calibrations.The Rapidly Settling Turbidity™ mode allows for accurate measurements even with the most difficult-to-measure settling samples. And the rugged design makes this the instrument of choice for the toughest environments.